This post is another review of things I picked up at FILEX this year. One of the workshops I attended was a sample of the Functional Training Institute’s course on using battle ropes. Without giving too away too much of their ideas, I did want to share a few of their rope drills that I found really helpful and will definitely be using. When I’ve gotten clients to do Battle Rope Slams I usually get them to always do the same thing. Big slams, maybe occasionally a smaller wave movement but pretty much it’s go big or go home. Straight off the bat, the guys from FTI showed us two other slams you can use depending on what training style you’re going for. 1. Endurance Waves: The first type was a small hip-generated movement for longer, endurance rounds like a circuit with 1 minute stations. 2. Anaerobic Waves: The second type was a shorter arm-generated movement that works great for short HIIT style workouts and drills like Tabata. 3. Power Slams: The third type was the one I was familiar with, your big power-style slams designed to get the whole body moving. Another fun type of drill which gets your clients working hard and focusing was the ‘get up’ style slams. We tried two of these with the idea being to keep the rope undulating while completing the movement. 4. Kneeling Get Up: The first was from a kneeling position, starting a wave movement with the rope and then standing up while keeping the ropes going. Then kneeling back down, then standing back up and so on. 5. Sitting Get Up: The second took it to the next level. I noticed that a lot of people struggled with this one due to flexibility so save it for your fitter, more mobile clients. In this move we started sitting on the ground with our legs outstretched, after starting a rope wave we had to get to a half kneel position and then stand up. It’s an awesome drill for focus and skill. And here’s a video of Dan from FTI demonstrating it. Give those a go at your bootcamp and let me know how you go. As a bit of a thanks I do want to mention that FTI do run courses here in Australia which I’m keen to check out next time they’re in Melbourne. You can also check out a bunch more exercise ideas on their YouTube channel and courses on their website. 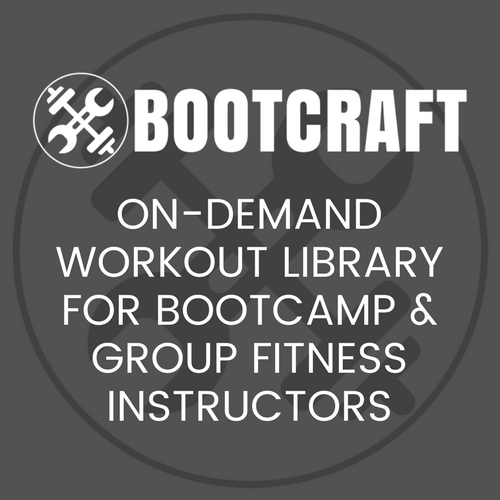 For more rope exercises, check out the Bootcamp Ideas Exercise Library, found in our free Bootcamp Trainer’s Toolkit.